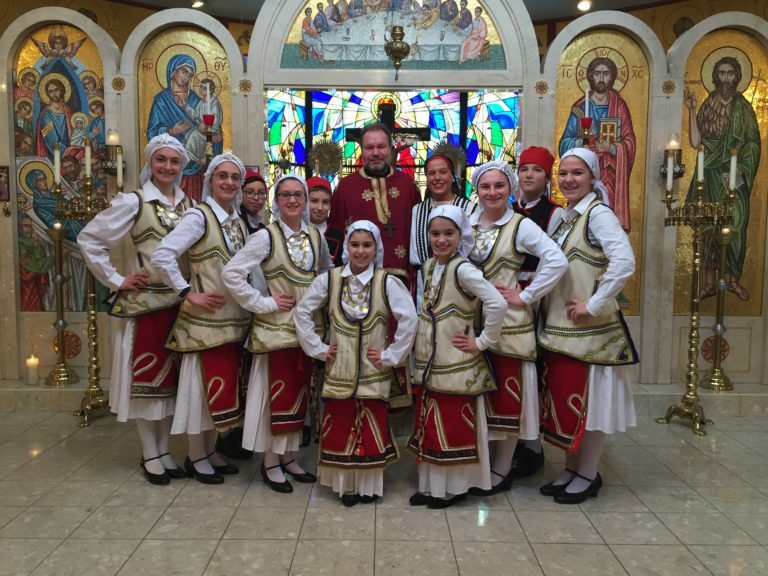 The Grecian Stars Greek dance group has been under the direction of Alecia Denillo since 2003. The dancers perform several times per year but practice year round. The children are taught both island and mainland dances from various parts of Greece. The Jr Grecian Stars are directed by Lauren Michaels and Eleni Wyrick. Both are former members of the group and started teaching in 2017. Children in kindergarten and up are welcome to join. 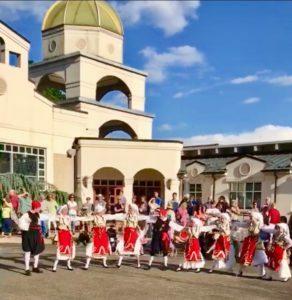 It is a great opportunity for them to learn Greek dancing at an early age. Practices are every Sunday from mid-September until our food festival at the end of June where they will showcase what they have learned. For more information about joining the dance group, please contact Alecia at 724-681-1714.